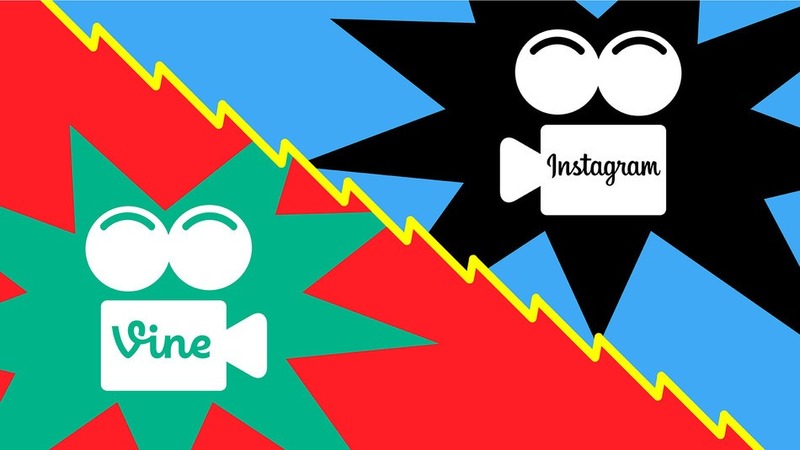 Vine and Instagram and Instagram video are great new ways of showing off your company. I’m in love with them at the minute and find them great to see what a company is really like. Although I still haven’t found the time to sit down and plan them into what we are doing at 45sound.com at the minute. I will do eventually. Having just read this on Mashable I find myself once again inspired to find the time. Have a read and see if you too get inspired. Happy posting. Also there are some great start-ups mentioned in the post too. Vine and now, Instagram video are all the rage when you’re looking for laughs or sharing clips with friends. But do they have any practical application for business owners? More to the point, what can you really tell customers in just a few seconds of mobile video? Instagram is really popular in the beauty and personal care space, so we use it a lot at Poshly to engage with existing members and prospective users. The efficacy of social media is that it’s a two-way street; remember not just to post your own content on Vine and Instagram, but seek out users who may promote your brand or offerings themselves on the platform. When they do, make sure to comment and like the posts so that others’ know you’re engaged and actively “listening” to them. It doesn’t work to be all over the place. Offer a unique value that people haven’t gotten with other brands, and then do it consistently. People will know what they’re getting, why they’re following you and how to quickly communicate to someone why he should follow your brand, too. Get involved and comment on other people’s photos, as well as posting your own. And don’t think that a photo isn’t appropriate if it doesn’t directly relate to your business. Customers like personal images, such as photos of the founder and team members, as much as they like photos of product lines and services. If you’re posting an ugly image to Instagram, you’ll be unfollowed immediately! People enjoy beautiful images in their feed, so be sure to take extra time to frame the photos, consult your designers and create something gorgeous. It doesn’t have to always feature your product either. If it’s beautiful and it means something to your company or to your employees, go for it! It is important to keep the focus on engaging your followers. This is not the time to sell your business or product. All you should be focusing on is keeping your followers interested. Create videos that are humorous or ask questions. You want your followers to interact with you and build a relationship with you. These video sources are a great way to do this if you do it wisely. You also want to make sure you are capitalizing on hashtags. These are a great way to get yourself more traffic. Think of hashtags that are relevant and highly searchable. If someone stumbles across your post via the hashtags and enjoys what he sees, then you just gained yourself a potential new client. These platforms are well-known for marketing, but they also provide great results in terms of recruiting. Looking for top talent? Use Vine and Instagram videos to quickly and easily show off what it’s like inside the walls of your company. Have fun with it! This is not only an effective way to market to your consumers, but it’s also a way to brand your business and show off your company’s creative side. If there is a new product or service launching, take a quick video of the excitement in the office. If you are counting down to a launch, why not give hints through Vine or Instagram video to create hype? Ask a satisfied customer if he would give a quick testimonial! There are so many ways you can take advantage of video marketing, and these tools make it simple, fun and effective. Remember to link Vine and Instagram to both your Facebook and Twitter to share! If you have a consumer-facing business, make your followers feel like insiders by giving them a look at what happens inside your business. Videos should be fun and should showcase the personality of your startup and the employees behind it. Whenever possible, we give our fans a sneak peek of our upcoming products before they’re available in stores. This kind of exclusive, added value is quick and easy to create, costs nothing and gives fans a reason to engage with your business on social media. Your brand is only as strong as its weakest touchpoint. Creating an engaging video is incredibly difficult; too many startups seem to believe that the ease of shooting a video with Vine or Instagram equates to the ease of producing interesting content. As with any new format, there are tricks you need to learn. Whether you’re shooting the six-second Vine or 15-second Instagram video, your success will depend on having an interesting story to tell and then capturing that story in a clear way. Think through your messaging, and literally practice what you will shoot before you try to use these platforms to build your brand. Regardless of the social media platform, you need to post engaging content, and determining the right medium for your message is important. There are some stories that are better told with video and others for which a photo or post are the best avenue. Some aren’t interesting enough to be told at all. Just because a new functionality is available doesn’t mean you should saturate it. Learn to optimize your content and engagement through moderation.